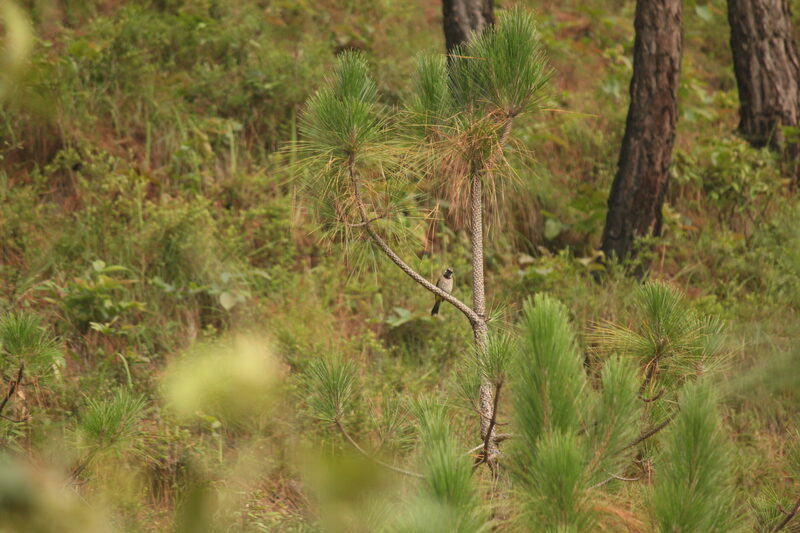 A black headed Jay in the distance. Hiking near Shitlakhet is one of life's truly beautiful experiences. We have seen that if you don't bother the monkeys and ignore them, then the monkeys won't bother you. There are some incredible opportunities to spot wildlife in Shitlakhet. [tabs] [tab title=”Overview”]Animals are a lot like us. 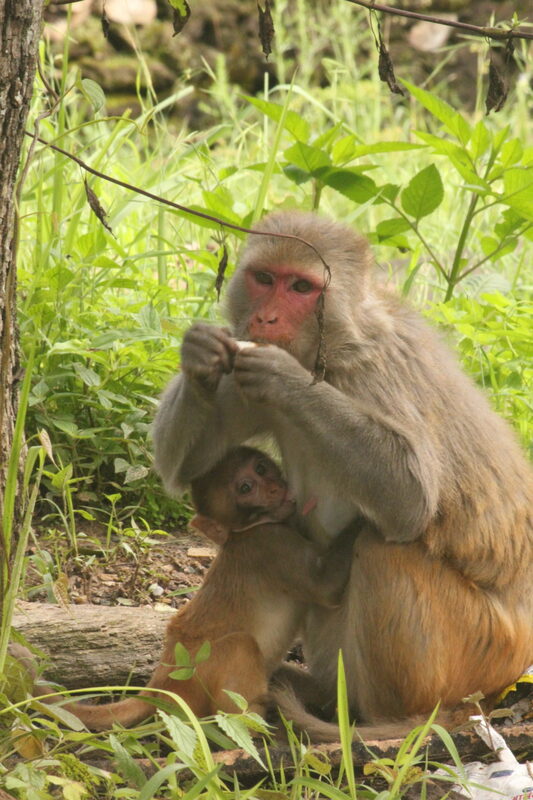 Just as we prefer travelling to the plans and prefer going South during the winters, animals love coming to lower altitudes during this time. Due to snow starting to cover the upper parts of the mountains, the animals descend to the lower reaches and may sometimes be seen just in your village backyard. 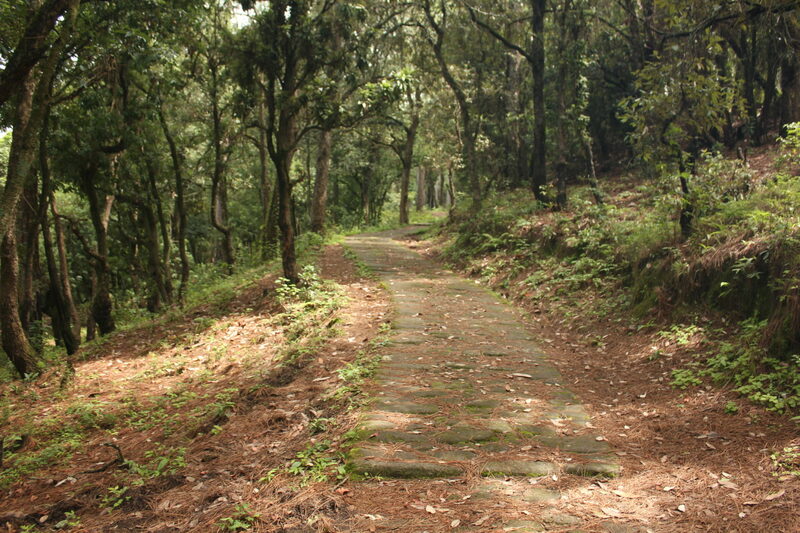 Visit Nayalap during this time and you might see a host of animals – from the Pine Marten to deer to hares, to black headed jays, owls and woodpeckers. If you are lucky, on one of the night drives you might see a leopard as well. 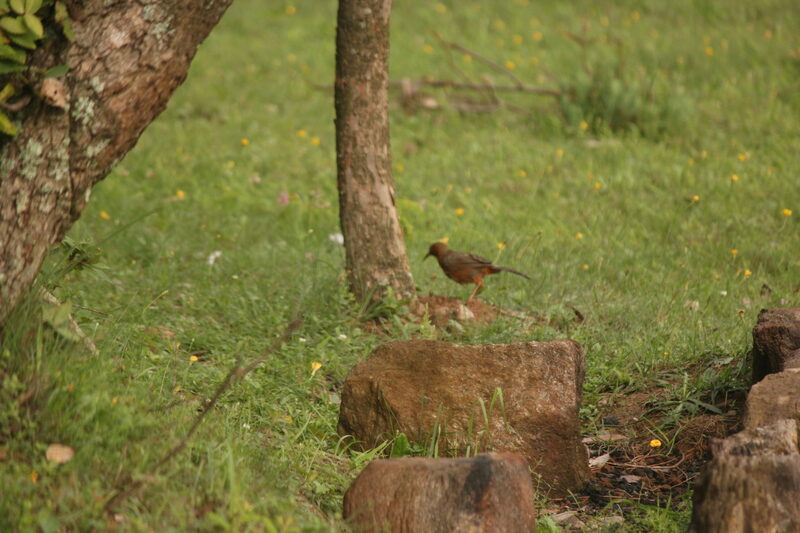 Amongst the mammals, you may see hares, leopards, jackals, monkeys, langurs and deer. It is rumoured that there are some tigers and bears in the jungles as well. But we have not spotted them yet. Furthermore, there is a huge variety of birds in Shitlakhet. This is also due to migration patterns in the Himalayas. In the evenings, you will hear the Indian Nightjar. In addition, during the day, you will see 2 different species of woodpeckers and many White Bellied Magpies with their long tails. You may see a Paradies flycatcher as well if you’re lucky. Much as a part of the wildlife is active during the winters, summers and monsoons are the time of insects and reptiles and you can’t help but marvel at glow-worms and brightly coloured spiders. At that time, it turns into a paradise for those interested in insects.